In early January 2015 a number of Arab and Israeli electronic and print media publications, including Internet resources and social networks, disseminated information about the alleged readiness of the King of Saudi Arabia Abdullah ibn Abdul Aziz Al Saud to abdicate. Riyadh has not officially confirmed this news. The reason for this allegation is the state of health of supreme ruler and the head of one of the largest and richest oil monarchies of the Gulf and was urgently hospitalized on December 31, 2014 at the King Abdulaziz Capital Medical Centre. 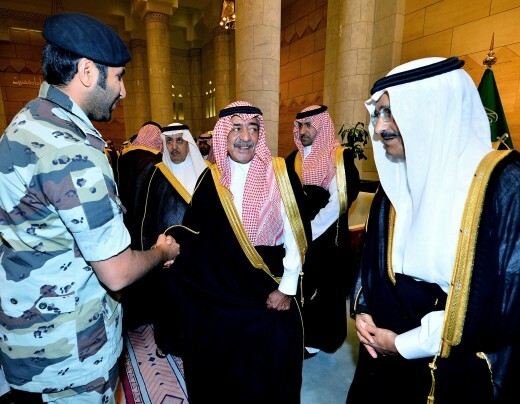 On January 6, 2015 the heir to the throne, Prince Salman bin Abdul Aziz Al Saud at the opening of the Advisory Board of the Shura tried to reassure citizens and dispel rumours surrounding the health of the king. According to Salman, the cause of the monarch’s hospitalization was pneumonia. He has been temporarily connected to a respirator. According to the Israeli agency Debka, the state of 90-year-old Abdullah is critical. He is ill with lung cancer. Currently, two American experts are trying to help him. The problem of succession has long been one of the most pressing issues facing the Saudi elite. Under the laws of the KSA, the sons of the founder of the Abdul Aziz Ibn Saud dynasty inherit the throne, not the children of the current monarch. Only then can the grandsons of Ibn Saud start to fight for the crown. In the case of the abdication or death of Abdullah, Crown Prince Salman will assume the duties of the supreme ruler, the 25th son of the founder of the dynasty of King Abdul Aziz Al Saud. Since August 2012, due to the illness of the monarch, he has been practically running the country. As of December 31, 2015 Salman will be 80 years old. The Qatar, Kuwait, and Israeli media say he is also burdened with a list of chronic diseases. Consequently, soon the royal house will again have to solve the problem of succession. The Crown Prince could theoretically be Mukrin bin Abdul Aziz Al Saud, the youngest (born in 1945) of the living sons of the dynasty’s founder. For a long time, from 2005 to 2012, he headed the intelligence service of the KSA. Since February 2013 at the request of King Abdullah with whom Mukrin had a close relationship he was appointed second deputy prime minister. At the same time, we cannot ignore the fact that Prince Salman, as head of the house of Saudis, wishes to see someone else in the office of his future successor. David Hearst, specialist on the Middle East and journalist for the British newspaper “The Guardian”, says that Mukrin’s figure is likely “passing.” According to Hearst, he must at some stage (his mother is a Yemenite, and according to the tradition established by the founder of the dynasty, he may not claim the crown) create conditions for the transfer of power to the second son of King Abdullah – Prince Mutaib, who since 2010 has been commander of the KSA National Guard. The main rivals in the fight of Mutaib in the battle for the crown are Prince Mohammed bin Nayef, son of Crown Prince Nayef bin Abdul Aziz Al Saud, who died in 2012, and another son of ibn Saud – Prince Ahmed, the former interior minister. But the latter is also not young. According to some sources he was born in 1940, according to others in 1942. Many fear that the next generation of Saudi princes, who have been educated in the West, differ in mentality from the older generation and could instigate conflicts amongst the various branches of the royal family in a struggle for power. In the region’s current situation, this risks the serious destabilization of the country’s political situation. According to some Western experts, members of the royal family are most likely aware of the danger to their well-being and will likely try to negotiate “without digging too deep”.